You might have been browsing our website when you suddenly notice that under pool tables, we have two separate pages for English Pool Tables and American Pool Tables. When it comes to buying a product, we understand that this may cause bewilderment - what pool table is the best one? What are the differences? or does it matter? If you're new to the world of snooker and pool, or just have your head in the game rather than in the specifics, we hope to be able to define the differences between the English and the American Pool Tables. The English Pool Table came from quite noble beginnings, from the like of kings and queens using the game of pool as one of their many pastimes, having once been dubbed the "Noble Game of Billiards" from the 1800s. The English Pool Table has gone through many changes throughout the decades, but one thing is for sure - the English Pool Table was the original pool table. Although pool table sizes differentiate, a regular sized English pool table is 7ft, a size that most professional competitions also use. 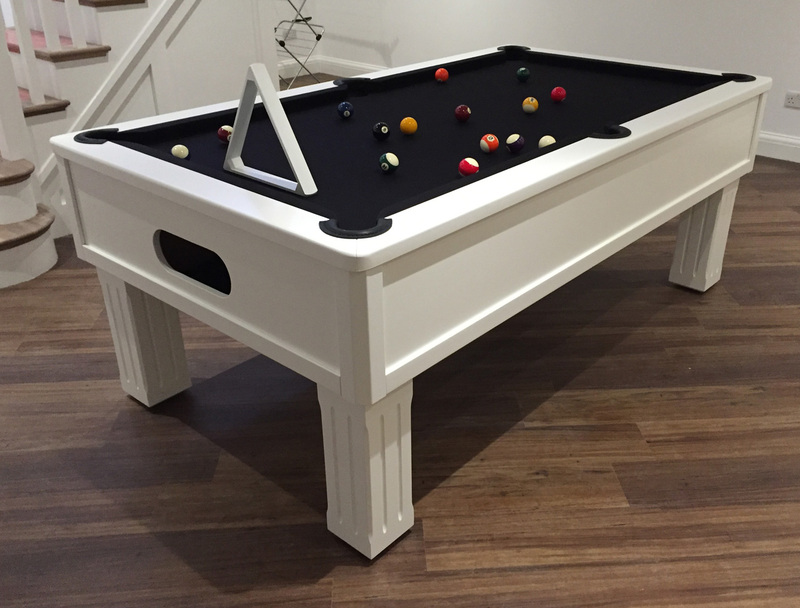 These pool tables can also come in 6ft or under if space is limited, or 8ft - depending on the space to be filled, but 7ft sticks as what is most common. 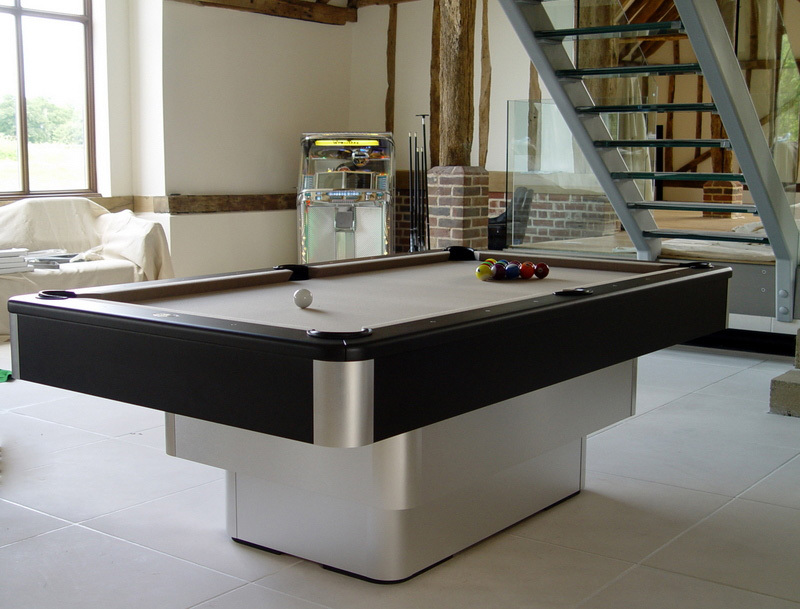 English pool tables also hold various features that positions it from its counterpart, the American Pool Table. These include more distinctively smaller pockets due to the slightly smaller billiard balls (normally of around 56mm in size) and can be played with a cue of 48 inches or 57 inches for a full-sized cue if space permits. In the 1700s, a group of American cabinetmakers got together to create a premium billiards table that would allow games to be played upon it. Its popularity at first was minimal, with the production of billiards tables being limited to those that had fully embraced the new game. Although the exact origins of American Pool are a bit uncertain, what we do know is that by the 1830s, there were public rooms completely devoted to the game of billiards - just at the time, the English version of the pool table. Years then passed before an individual called Michael Phelen came along, an immigrant from Ireland whose love for the game of billiards saw him put together a book on the rules and behaviour of what would be the American version of the game, as well as the design that a generic American pool table would then take. American Pool Tables are closely aligned to their English pool table counterpart but diverge slightly on sizes. The standard American Pool Table is sized at either 8ft or 9ft, with the latter being the official size used when playing professional USA Pool. The cue used for playing is normally the same size that the English pool table would use, at around 58 inches. Other features that the American Pool Tables hold over their English counterparts include billiard balls that are slightly bigger by 1mm, making that 57mm instead of the previous 56mm and an array of larger pockets around the table to accompany the increase in pool ball size. Around the table itself, the rails that work to keep the balls on the table are also known to frequently feature diamond system markings: these are used to improve accuracy and overall performance of the game, especially for those who are geometry-minded when it comes to the game.